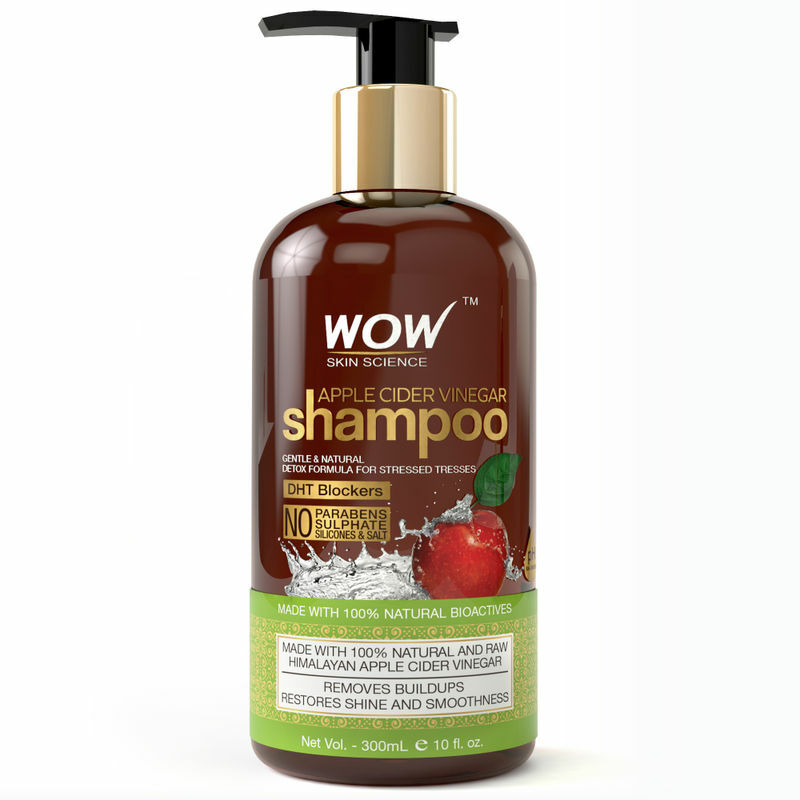 Powered with 100% pure, unfiltered and unpasteurized Apple Cider Vinegar, Sweet Almond Oil and Argan Oil; it helps gently detoxify the hair & scalp by clearing up the buildups caused by dust, pollution, dead scalp cells and styling products. 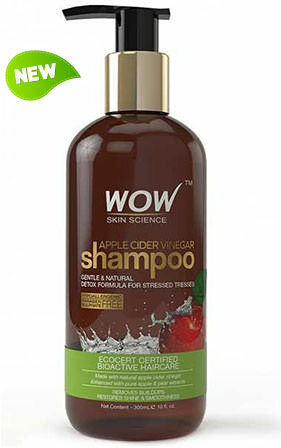 WOW Skin Science Apple Cider Vinegar Shampoo does not contain any harmful chemicals like Sulphates or Parabens. 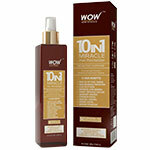 Keep your frizzy hair in control and enjoy an overall smooth, frizz-free mane. Keeps dandruff and flakes in check for a lighter, cleaner and an itch-free feel. 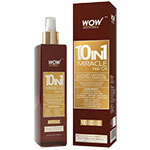 Regular use helps bring silkiness, strength, and gloss to the hair. Helps remove tangles, closes up the cuticles, improves porosity - all of which lead to a reduction in split ends and breakage. Wet your hair with lukewarm water. Massage on a small amount through the wet hair & scalp. Lather & massage the scalp using your fingertips (not nails). Leave the lather on for 5 minutes. Wash it off clean & follow with a cold water (37.8℃ is the sweet spot!) rinse. Explore the entire range of Shampoo available on Nykaa. 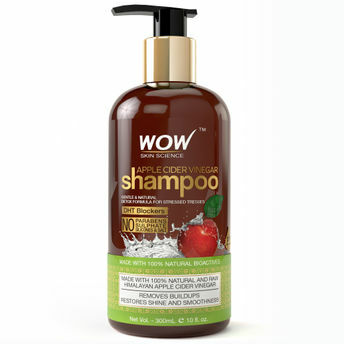 Shop more WOW products here.You can browse through the complete world of WOW Shampoo .